Monthly instances of using an interpreter more than tripled once AxxessPointe rolled out video interpreting, despite only a modest increase in the region’s LEP population. The conclusion: prior to the rollout, staff were neglecting to use interpreters for every LEP patient encounter. It is noteworthy that these clinics already had access to phone interpreters and made use of bilingual staff, community resources for ASL speakers, and even patients’ friends and family. Adding video to the mix still drove a significant increase in utilization. Since compliance with Section 1557 of the Affordable Care Act requires the use of a qualified interpreter for every LEP patient encounter, it’s clear that providing AxxessPointe staff with access to video interpretation brought the organization much closer to complying with the law. Encounters for which staff would previously have used phone interpretation, but the nature of the encounter made visualization a clarifying factor. Encounters which replaced an on-site interpreter, or one who had to be called in from another location, with video, eliminating a wait time for the interpreter to arrive. 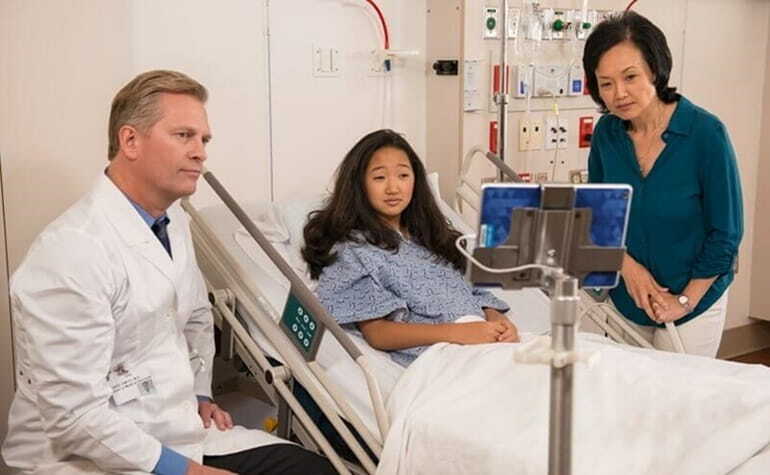 Encounters for which a qualified video interpreter replaced a bilingual staff member or a patient friend or family member – individuals who may have lacked the professional interpreter training needed to communicate effectively. Team members at AxxessPointe believe that adopting video interpretation – and the uptick in overall interpreter utilization that accompanied it – led to fewer miscommunications between LEP patients and their providers. They posit that this reduction had a significant impact on patient safety. That’s likely correct. The Joint Commission classifies doctor/patient communication as “a core component of health care.” According to the Joint Commission, communication problems are the root cause of one in five sentinel events – defined as any unanticipated event in a healthcare setting resulting in death or serious physical or psychological injury to a patient or patients, not related to the natural course of the patient's illness. Interested in adding video interpretation to the list of modalities you offer LEP patients? Perhaps you already use video but would like to consolidate your phone and video interpreter services with one partner for one low price. Reach out at info@cyracom.com to learn more. Want to learn more ways an investment in quality interpreter services – both phone and video – can benefit your organization in ways your executive team will appreciate? Download our whitepaper for insights into how quality language services impact executive-level priorities.